Legislation is in the works designed to ratchet up watchdog efforts to keep federal employees from abusing their government-issue credit cards by blowing taxpayer dollars on personal spending sprees. Iowa Senator Chuck Grassley is one of the lead cosponsors of the bipartisan bill which he hopes will go to a vote in the Senate very soon. 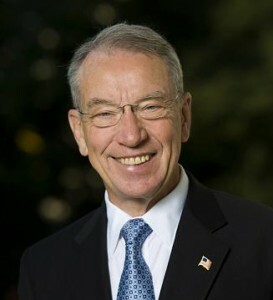 Grassley says, “The legislation would prevent charge card misuse and abuse by making sure the General Services Administration, GSA for short, continuously examines charge card purchases made across the federal government.” There’s a certain amount of trust placed in employees when they’re issued a government charge account and he says clearly, some federal workers are abusing that trust. “In May, the Defense Department inspector general found that a number of Pentagon employees used their government charge cards at casinos and strip clubs,” Grassley says. “I know that doesn’t sound like any government employee would do that, but that’s the fact.” The bill would require government agencies to share what are considered “best practices” for detecting and preventing waste, fraud and abuse. “Maybe our big, massive government can learn from each other what works best,” Grassley says, “because, obviously, the Defense Department had the responsibility to do this and they weren’t doing it and that’s where the misuse come.” Grassley says the measure builds on his earlier legislation, the Government Charge Card Abuse Prevention Act, which was signed into law by the president in 2012.